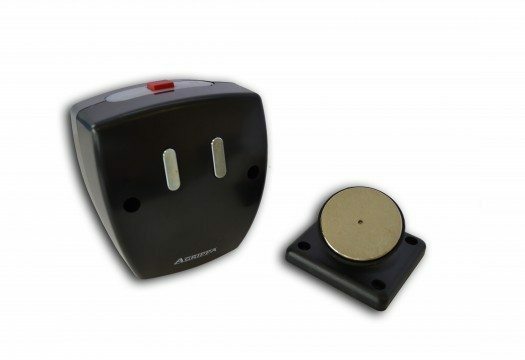 The Agrippa magnetic fire door holder is a battery-powered device used to legally hold open internal fire doors. The device is fitted to the wall and a keeper plate is fitted to the top of the door to ensure there is no damage to the floor and to prevent door warping. The Agrippa magnetic fire door holder can also be floor mounted if required. 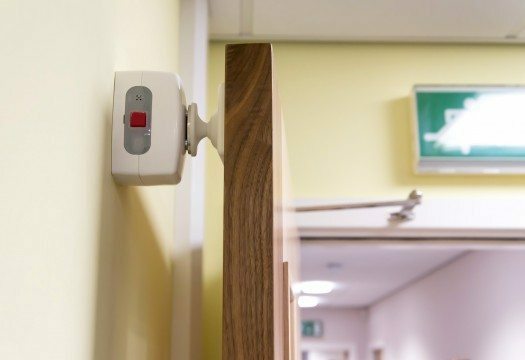 The Agrippa holder uses a magnet to hold the door open to ease access during the day, in the event of the fire alarm sounding, the door is automatically closed to prevent the spread of smoke and flames. The red button on the device allows users to manually close the door if needed. 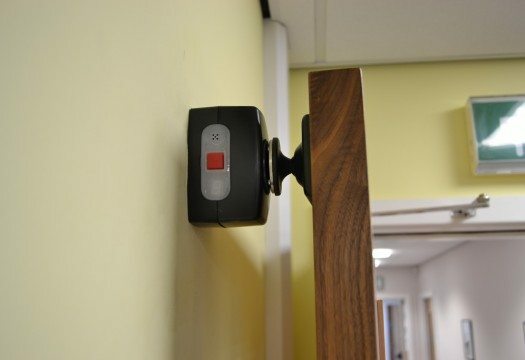 The holder is easy to install and maintain due to its LED display screen and daily timed release option, used to ensure that all fire doors are closed at the end of the day. 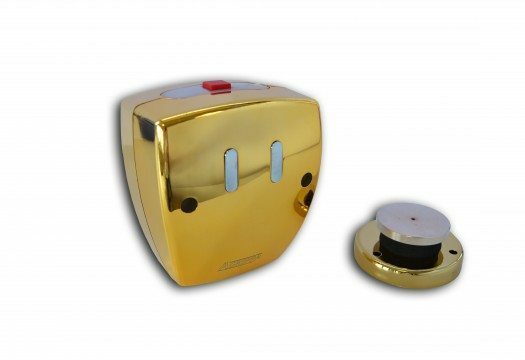 The Agrippa door holder will not hold the door open if the batteries run out of power and features a low battery warning. 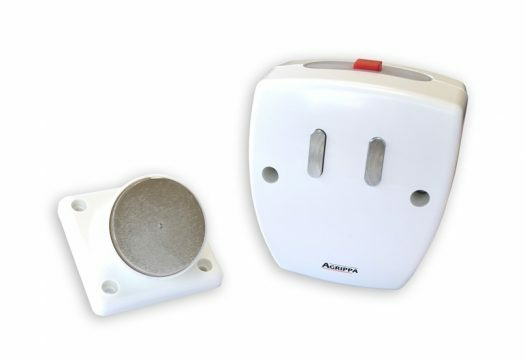 The Agrippa holder uses ‘listen and learn’ technology to record the specific sound of the building’s alarm, ensuring the doors will only close upon hearing this exact sound, rather than reacting to loud noises such as school children or vacuum cleaners. The device can be fitted to internal fire doors in less than 10 minutes, view our online installation videos here. The holder is recognised by UK Fire and Rescue Services and the London Fire Brigade, suitable for installation to BS 7273-4 Standard Actuation (Category B) and conforms to EN1155 and is CE marked. 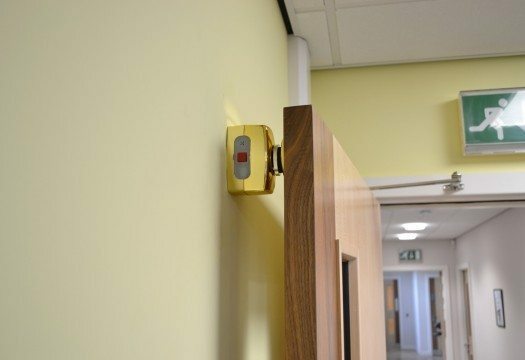 The Agrippa fire door holder is the perfect solution to legally hold open fire doors in schools, care homes, hotels and office buildings, as well as many others. If you require any further advice about the Agrippa fire door holder, please contact us now. The holder is part of the Agrippa suite of products, which also includes a sound activated fire door closer.